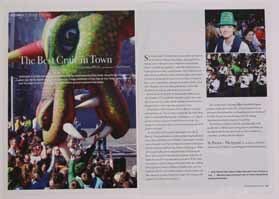 Five-page feature using my photography on St Patrick's Day, held annually on March 17th, Dublin, IRELAND in the March 2006 issue of "Morning Calm". 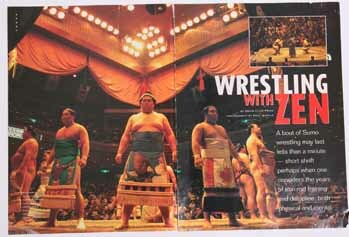 Nine page feature that used my photography and text in "Morning Calm" the in-flight magazine of Korean Airlines on sumo wrestling in JAPAN. 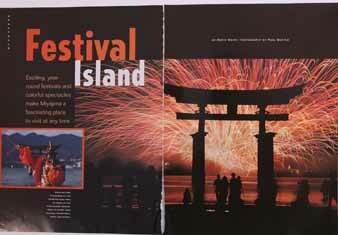 My photographs on the island of Miyajima, near Hiroshima JAPAN were used over several pages.